The 23 meter long tug Adonis was towing a water barge in the harbour of Gladstone, Australia when it’s steering failed. The four people onboard tried to get the vessel under control, but the Adonis girded then rolled over and sank. Three men were rescued by the water police, but one crewman perished. Divers were able locate and recover his body. 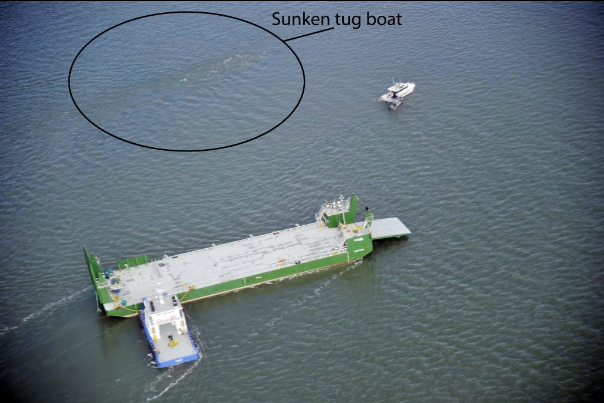 An exclusion zone has been placed around the sunken tug until it can be salvaged. Authorities are conducting an investigation into the incident.